Do you Keep a Journal or a Sketchbook? I’m juggling a bunch of projects at the moment — did I tell you that I’m writing a book? Gasp. That’s a post for another day! — and I’m trying to keep this blog going without killing myself in the process. One of the things that grounds me, and my kids, are our sketchbooks. When we have an idea, it goes into the sketchbook. When we buy new markers we test them out in the sketchbook. I’ve always loved having a visual journal, and as a parent I encourage my children to keep one as well. Not only do journals enable us to capture a moment in time, but they’re witnesses of our past that can fill us in on little secrets, and they’re powerful resources for sourcing new ideas. When I have a block and need some inspiration, I can flip back through my journals in search of a technique or image that recharges my batteries. Check out my Sketchbook Board on Pinterest, updated frequently with new ideas. Balzer Designs. 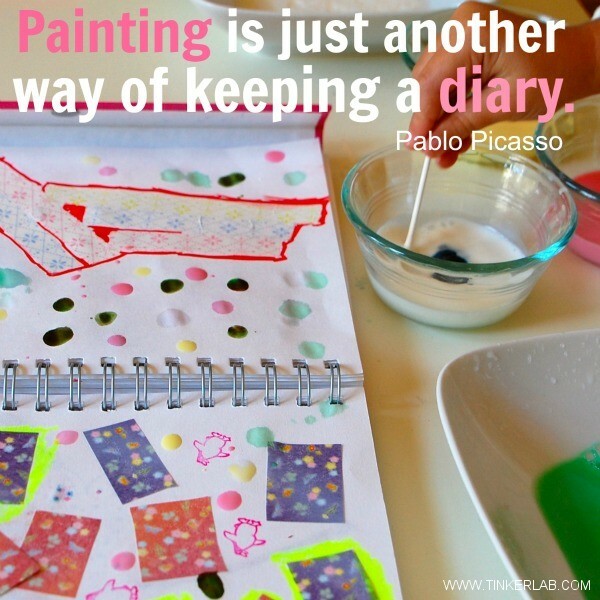 You’ll want to check out her gorgeous Art Journal Every Day posts. Keri Smith, genius in every way. She’ll get you to think outside the box and is so good at pushing you outside your comfort zone. I think I want to be her. Alisa Burke creates beautiful illustrations. Here’s a peek into her sketchbook and some artsy tutorials. Journal Fodder Junkies shares some good tips and tutorials on attacking the blank page. What about you? 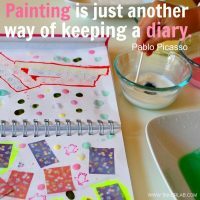 Do you keep a written or visual journal?